It all started in early 2007. 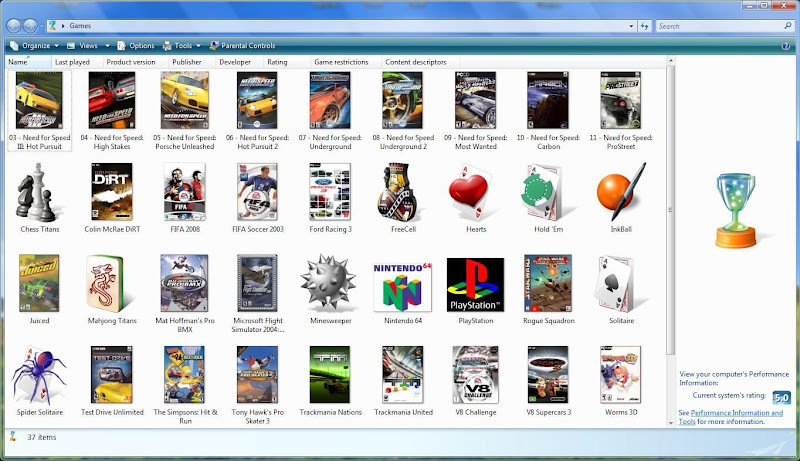 Microsoft Windows Vista included a new, special 'Games' folder, and they forgot to finish it. A large number of games were not detected and they didn't let you edit the entires manually. A small group of members on the Neowin forum found a way to hack the system by modifying registry and system files. The process was long and tedious, and since there was no news of anyone else making a program to automate things, I stuck my hand up and started building Vista Game Explorer Editor. 2 years later, VGEE is now pretty well known, and used by around 30,000 people around the world. It has a few limitations, but it gets the job done for now. I'm spending some of my reduced spare time on a new project, which remove the limitiations of VGEE, and add a whole lot of extra features. Progress is very slow, but it should be worth the wait. A big thankyou to all those who have contributed to the project, tested the software for bugs, and to those who have sent emails of appreciation. [+] Update: Please note that there appears to have been a Windows Update and other scenarios that prevents VGEE working on the latest Windows 7 systems (particularly 64-bit and non-English versions). You may wish to find another tool for this purpose. I have not worked on this software for a number of years and do not have time to continue supporting it any more. 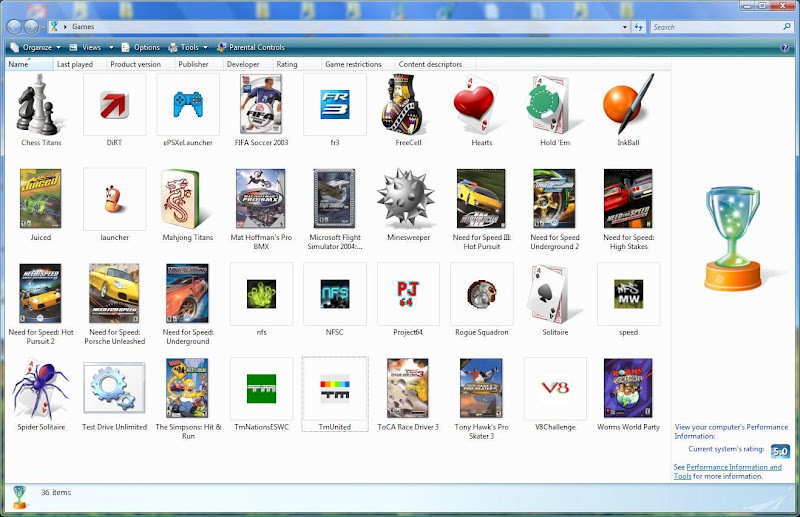 It also appears that Windows 8 will not use a Game Explorer but will instead use something along the lines of the XBOX LIVE application found on Windows Phone 7 (in the metro interface).